It’s National Zoo Keeper Week and we’re sharing the love! To recognize the dedication and hard work of our amazing zookeepers, we are posting an interview of a keeper each day this week. It’s the final day, so it’s fitting that we can BEAR-LY wait to highlight this keeper – it’s Brandy LaSalle! 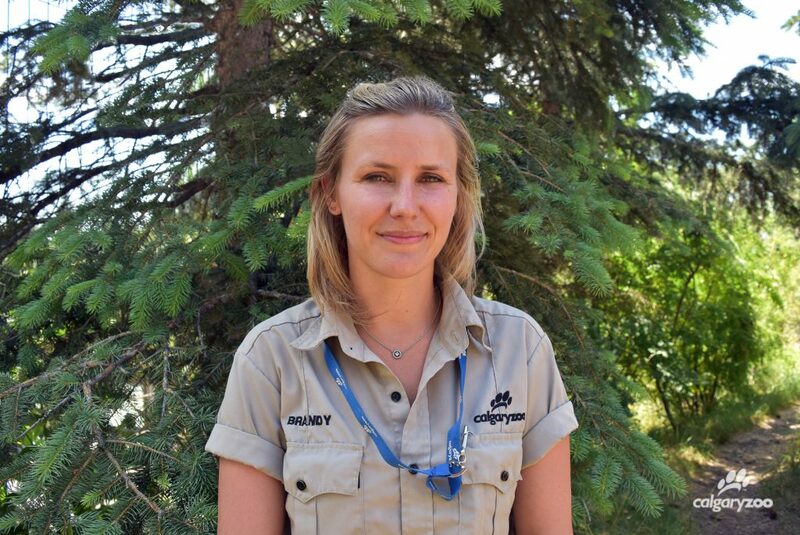 Read on to hear about her work with the zoo’s giraffes and bears. A: “That would be teaching Tut, the king penguin, to eat out of the pool all on his own. I was one of the first keepers to work on penguins when the Penguin Plunge building opened in 2012, and when Tut arrived he couldn’t eat a fish by himself. He was young and was a little inexperienced – I mean, he wouldn’t even swallow it on his own. I think there’s still some silly photos on the internet of me feeding him with a ridiculous smile from the opening day of the building. 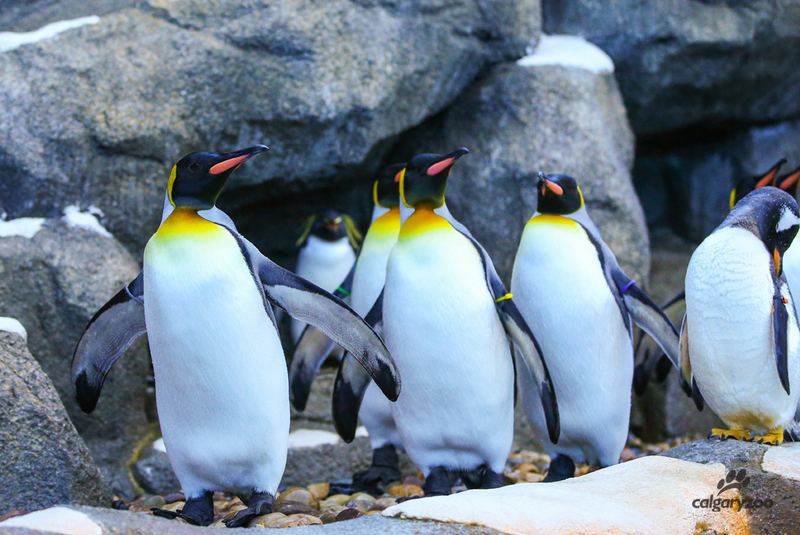 Our king penguins like to waddle together. Can you spot Tut with the green band? The support of our community makes possible our critical work protecting wildlife and wild places. 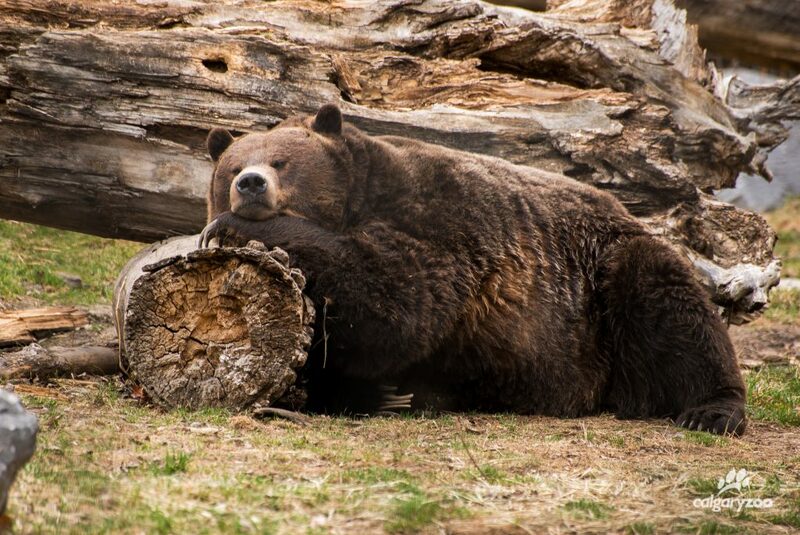 Your trip to the Calgary Zoo helps us sustain wildlife and wild places. Visit today and learn more about the work of the Centre for Conservation Research at the Calgary Zoo.